A new addition to the Library family! 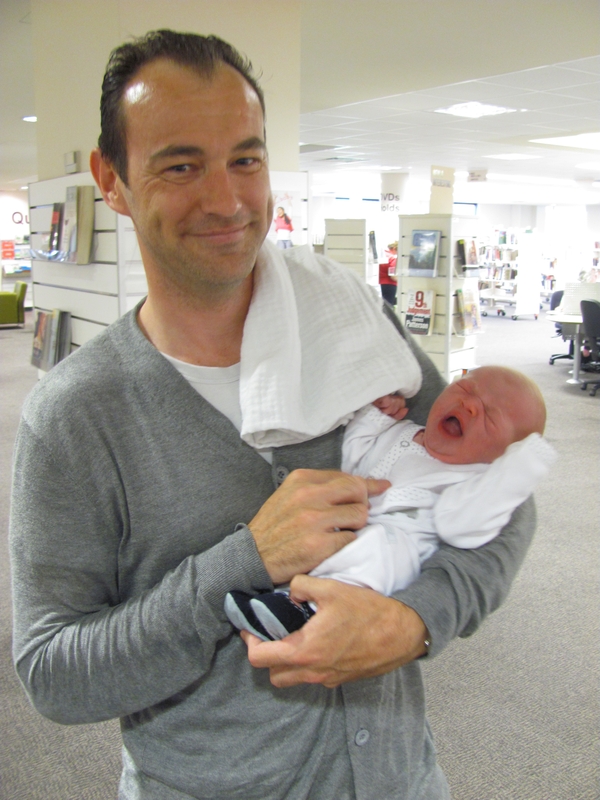 All the staff at Tea Tree Gully Library would like to congratulate our Local History Officer David and his lovely wife Natalie on the birth of their son, David Remy Rex. Big sister Jean-Louise is very excited too! Remy was born Saturday, 5th March at 3:15pm, weighing 3.6kg and measuring 51cm. First visit to the Library at four days of age is pretty impressive. He looks impressed doesn’t he! This entry was posted in Uncategorized and tagged local history, Remy, staff by junobabe. Bookmark the permalink.